Commuting to university now costs some students more than £1,300 per year as South Western Railway (SWR) train fares continue to rise. SWR fares increased by an average of 3.3 per cent when the new fares came into effect on January 2 2018, it being the largest fare hike in five years. Hadi Habboushi, a second-year pharmacy student, commutes from central London to Kingston: “At the moment it costs £167.50 a month on my travelcard, but last year it was £150. Paying this much for a monthly travelcard means that travelling to KU for eight months of the year would cost over £1,300. A single fare from Waterloo to Kingston rose by 10p and now costs commuters £7.20. Ed Davey, Liberal Democrat MP for Kingston and Surbiton, believes commuters feel they are not getting their money’s worth. “We already pay too much – especially from Kingston and Surbiton stations due to unfair zoning – and rises above inflation are a scandal given the shambolic performance,” he said. A spokesperson for SWR said that passengers are now benefiting from extra capacity on some of the busiest routes following the works at Waterloo this August to create longer platforms. 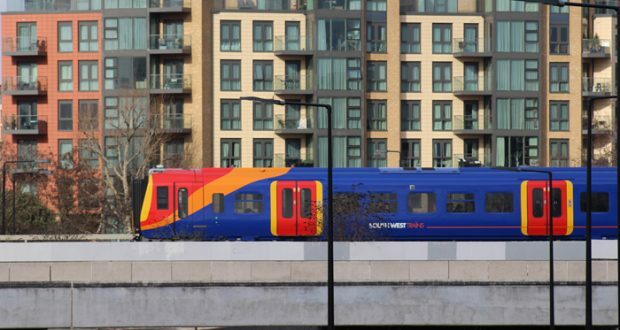 “We also plan to roll out a number of customer service improvements over the course of the SWR franchise including a multi-million fleet refurbishment, redevelopment of stations, simplifying ticketing and introducing faster services,” they said. Davey said that the solution to ever-rising fares is “to overturn the way the Tories privatised the railways when they separated the ownership and responsibility for track and train”.